Six people have been convicted of firearms offences, following the seizure of a huge haul of more than 3,000 rounds of ammunition, along with firearms. 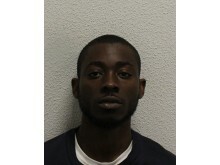 On Wednesday, 13 March, at Croydon Crown Court, Lorenzo Brooks, 28 (05.05.90) of Crutchley Road, Catford, was found guilty of conspiracy to sell or transfer prohibited weapons and possession of component parts of a firearm. 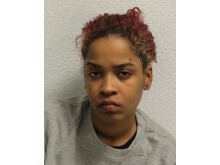 Sian Alexandra Miller, now 25 (14.02.94) of Stanger Road, South Norwood, was found guilty of conspiracy to sell or transfer ammunition. 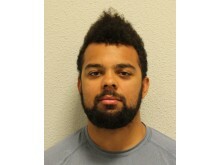 Lukas Duncan, 22 (11.06.96) of Guildford Avenue, Surbiton, was found guilty of conspiracy to sell or transfer ammunition. 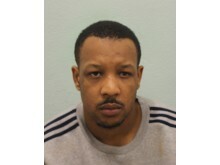 Mishak Wright-Martin, 33 (28.03.85) of Kennington Park Road, Kennington, was found guilty of conspiracy to sell or transfer ammunition. 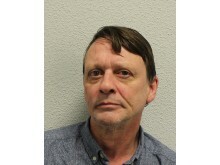 Manfred Kurz, now 61 (06.02.58) of Ashburton Road, Croydon, pleaded guilty to two counts of possession of firearms; two counts of possession of ammunition; possession of explosive substances, and possession of component parts of a firearm. Sierra Denton, now 21 (15.02.88) of Cromer Road, South Norwood, pleaded guilty to conspiracy to sell or transfer ammunition and possession with intent to supply Class A drugs. All six will be sentenced on Wednesday, 3 April at Croydon Crown Court. The court heard how the crimes began when Manfred Kurz, a German national, moved to the UK in around 2004, having previously served with the German Army. 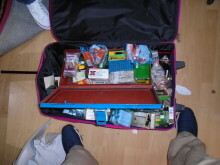 Kurz was a keen shooter and using his German firearms license, had bought a huge amount of ammunition, which he smuggled into the UK. The illegal ammunition later came to the notice of his niece Sian Miller, who realised there was money to be made by illegally selling it. They then began to distribute the ammunition to contacts, for financial gain. 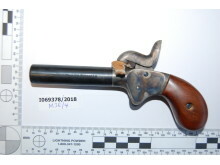 On 5 February 2018, officers from Trident executed a firearms warrant at Miller’s home address and found 1,800 rounds of ammunition of varying calibres, two firearms (pistols) and five prohibited weapons (CS spray). 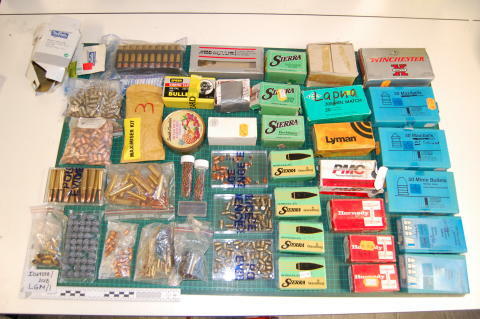 Bullet-making equipment including empty cartridges, primers and black powder, which could be used to make live cartridge rounds, were also recovered. 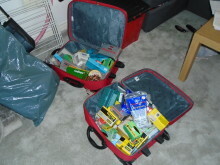 Miller was arrested and, as a result of their enquiries, officers carried out a second raid on the address of her uncle, Manfred Kurz. Kurz was arrested the same day and his house was searched. A large quantity of black explosive powder was found and this brought the total recovered from all addresses to 20kg. 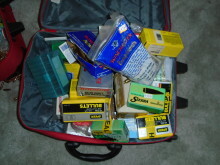 Also seized at Kurz’s address was a single live .357 calibre cartridge and bullet-making equipment. Detectives were aware that some of the ammunition had already been unlawfully distributed and they began urgent enquires to recover it. As a result of detective work, police were able to establish a connection between Lorenzo Brooks and Lukas Duncan, a cousin of Sian Miller, who were both arrested for their part in the conspiracy to sell ammunition. Moving quickly, Trident detectives carried out another raid on 23 April 2018, this time at the home address of Sierra Denton. 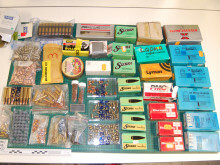 Seized in this raid was another large quantity of ammunition. In total more than 3,100 rounds of ammunition - in varying calibres - two incapacitant sprays and an ounce of heroin were found. 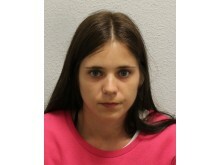 This arrest in turn led to the arrest of her boyfriend Mishak Wright-Martin. The trial of Miller, Duncan and Wright-Martin concluded on 7 December 2018, but reporting restrictions were put in place while a separate trial for Lorenzo Brooks was completed at the same court, starting on Monday, 4 March. Kurz and Wright-Martin had already pleaded guilty. “A huge amount of ammunition has been recovered, which we believe was destined to be sold to criminals with gang connections. This amount of firepower in the hands of the criminal fraternity is a truly terrifying thought.